Sana, the daughter of Japanese immigrants, has spent her whole life in Wisconsin, where she and her family are the only Asian people she interacts with. Then her family moves to San Jose, California, and Sana is immediately welcomed by the Asian-American clique, kids with strict immigrant parents on the same strictness spectrum as hers. There are kids from other ethnic groups, too, including a Mexican girl named Jamie. There's a white boy named Caleb, too, but this is not a book about a bisexual. I love YA, but it is hard to cope with kids not being honest with themselves and each other and making bad choices. That happens in adult novels, too, but maybe I can relate better to adult stupidity these days than I can to teen self-sabotage. 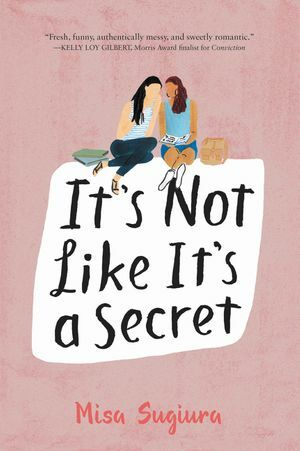 That sounds a little negative, but I wholeheartedly recommend It's Not Like It's a Secret.